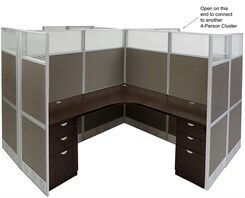 Our Value Series 4-Person Cluster Cubicles are an affordable solution to outfitting multiple employees. Complete cubicle packages includes spacious worksurfaces, file cabinets and 1-1/4" thick technology-friendly cable raceway office panels. 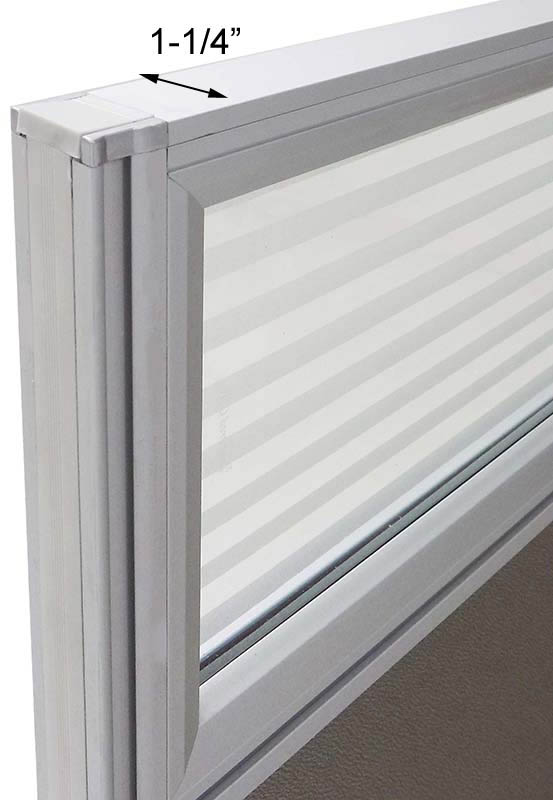 These attractive, modern and affordable slimline panel systems let you achieve the first-class, professional image you require. 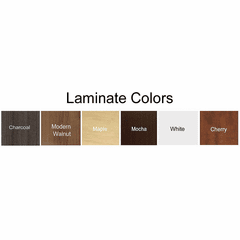 Top notch styling cues include silver metal frames, tempered glass windows with frosted striping and neutral fabric with choice of many laminate finishes. Quick and easy set up with unique clip together assembly system. 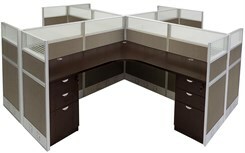 Choose from two sizes: 48"H and 67"H workstations. Complete 12'W x 12'D x 48"H 4-Person Cluster Office Cubicles w/Files sold above. 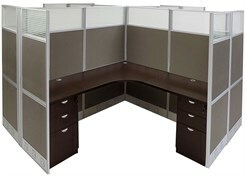 See 67"H 4-Person Cluster Cubicle below. IN STOCK! 48"H 4-Person Cluster Cubicle includes all 48" high 1-1/4" slimline panels with tempered glass windows, connecting posts, worksurfaces (four corner and eight 24" x 36" rectangular), locking box/box/file drawer units (eight) and necessary hardware for four complete workstations clustered together as shown. 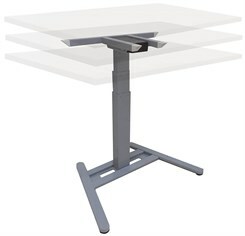 Overall dimensions including panels measures 147-3/4"W x 147-3/4"D x 48"H. Shipping weight 1238 lbs. PRICE INCLUDES SHIPPING! (Truck shipment - See Terms & Conditions). 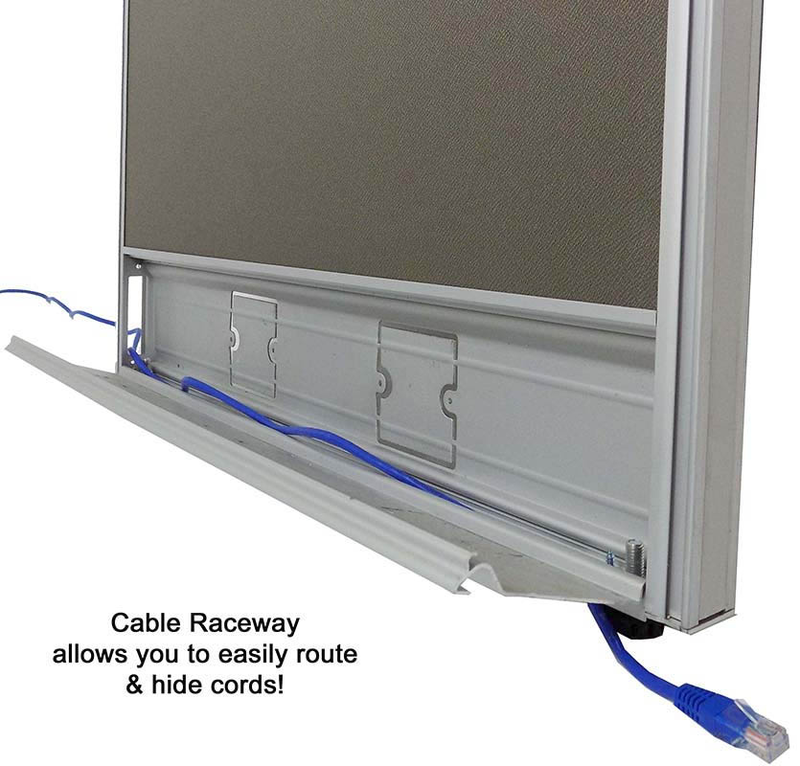 * Bottom raceway design allows cords and cables to route through bottom of office panel and even through connection posts for complete cable connectivity! 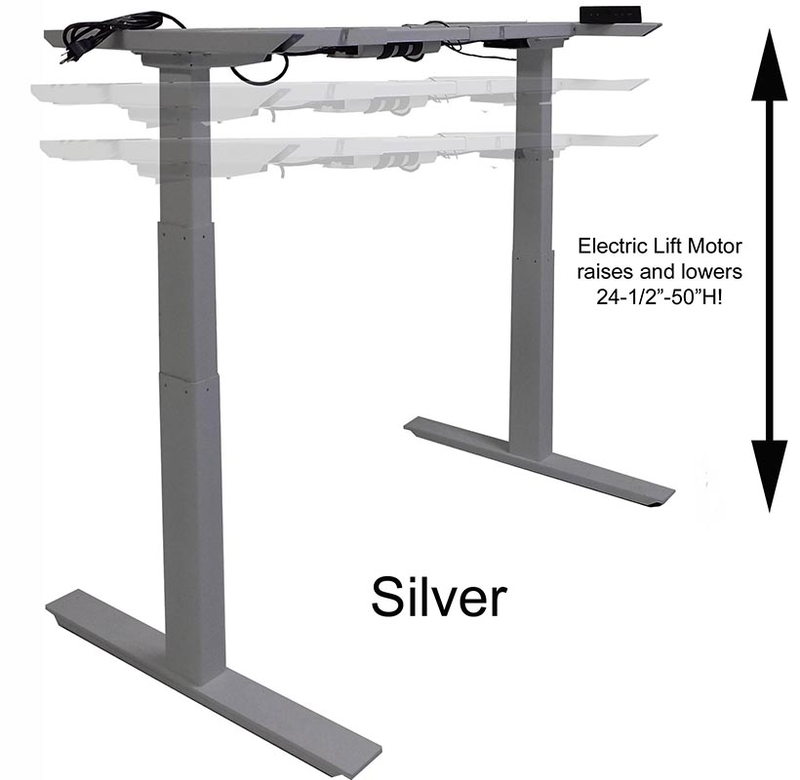 * Flip up metal raceway covers conceal cable troughs measuring 7/8"D x 3-3/4"H. Panel end and connector post raceway openings are 3/4"D x 2-3/4"H.
* Office panels are 1-1/4" thick for a slimline design and are ideal for tight space planning situations! * Universal Connection Post allows easy 90 degree, 3-way or 4-way connections between panels. 1 - 2 $4,199.00 ea. 3 - 9 $3,999.00 ea. Use this workstation to add/connect to an existing 4-Person Value Cluster 48�H Cubicle. This workstation is just like Y11924 but without two 24"W panels and connector one side, for adding on cluster workstations in a row. 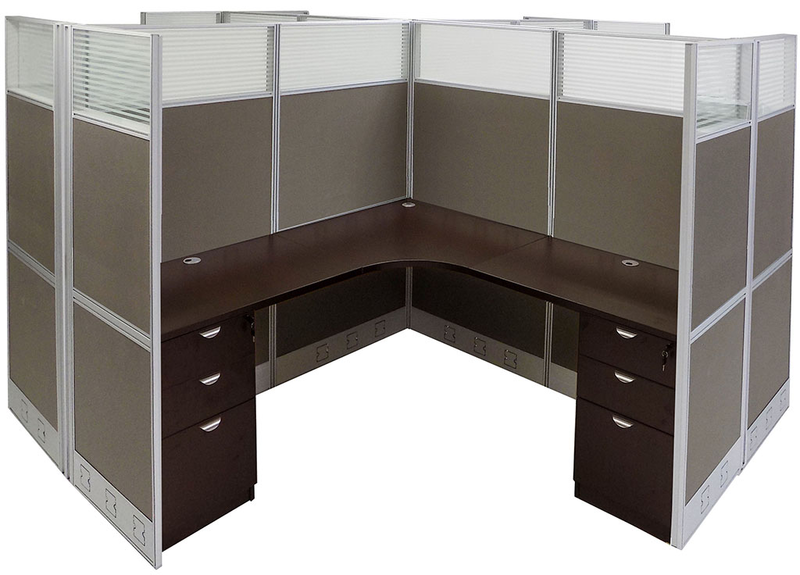 Cubicle features 48" high slimline panels with glass windows, four connecting posts, worksurfaces, four locking box/box/file drawer units and all necessary hardware as shown. Outer cubicle dimensions are 147-3/4"W x 146-1/2"D x 48"H. Shipping weight 1200 lbs. PRICE INCLUDES SHIPPING! (Truck shipment - See Terms & Conditions). IN STOCK! 1 - 2 $4,999.00 ea. 3 - 9 $4,799.00 ea. 67"H 4-Person Cluster Cubicle includes all 67"high slimline panels with tempered glass windows, connecting posts, worksurfaces (four corner and eight 24" x 36" rectangular), locking box/box/file drawer units (eight) and necessary hardware for four complete workstations clustered together as shown. 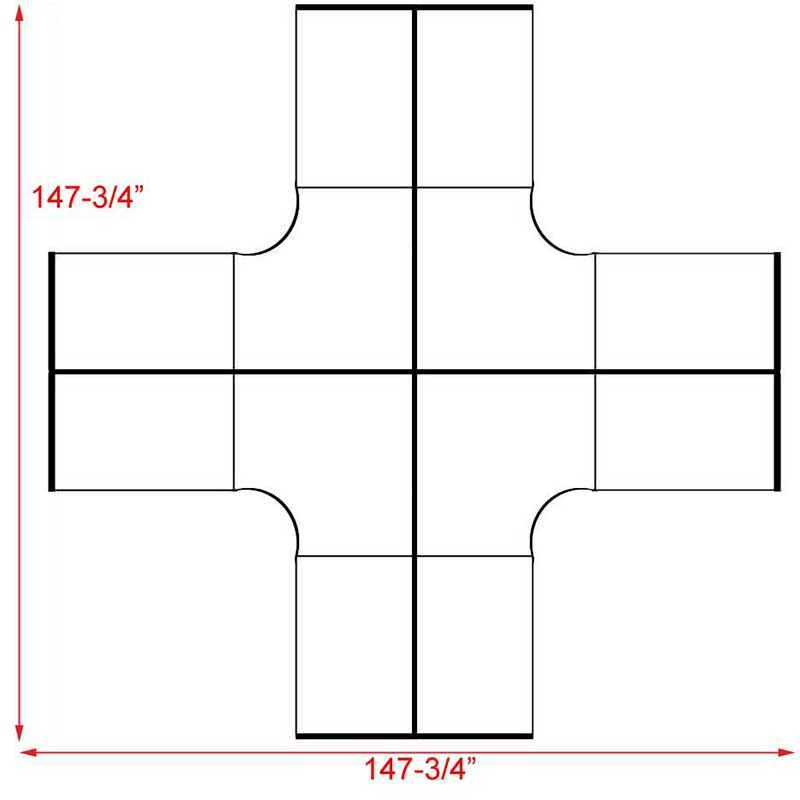 Overall dimensions including panels measures 147-3/4"W x 147-3/4"D x 67"H. Shipping weight 1342 lbs. PRICE INCLUDES SHIPPING! (Truck shipment - See Terms & Conditions). IN STOCK! 1 - 2 $4,799.00 ea. 3 - 9 $4,599.00 ea. 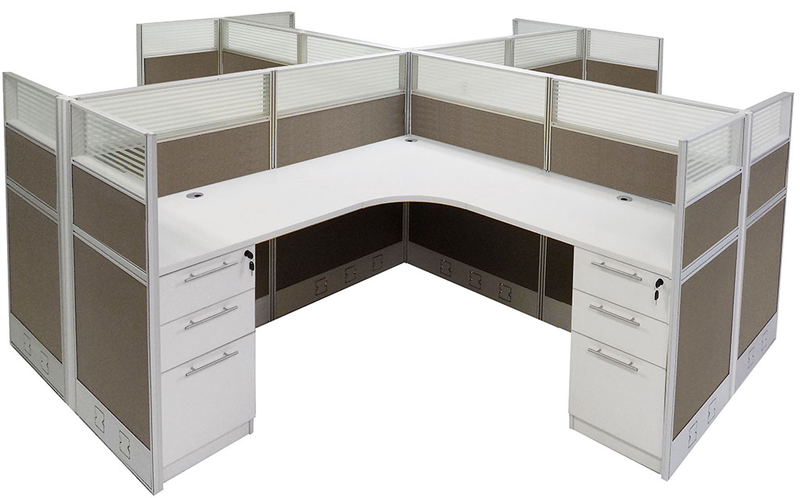 Use this workstation to add/connect to an existing 4-Person Value Cluster 67"H Cubicle. This workstation is just like Y11925 but without two 24"W panels and connector one side, for adding on cluster workstations in a row. Cubicle features 67" high slimline panels with glass windows, four connecting posts, worksurfaces, four locking box/box/file drawer units and all necessary hardware as shown. Outer cubicle dimensions are 147-3/4"W x 146-1/2"D x 67"H. Shipping weight 1293 lbs. PRICE INCLUDES SHIPPING! (Truck shipment - See Terms & Conditions). IN STOCK!